Grenada’s Minister with responsibility for the Environment, Honorable Simon Stiell spoke on his vision for Climate Finance in Grenada as part of the launch of the Enhanced Direct Access (EDA) Project in Antigua on the 12 July 2018. 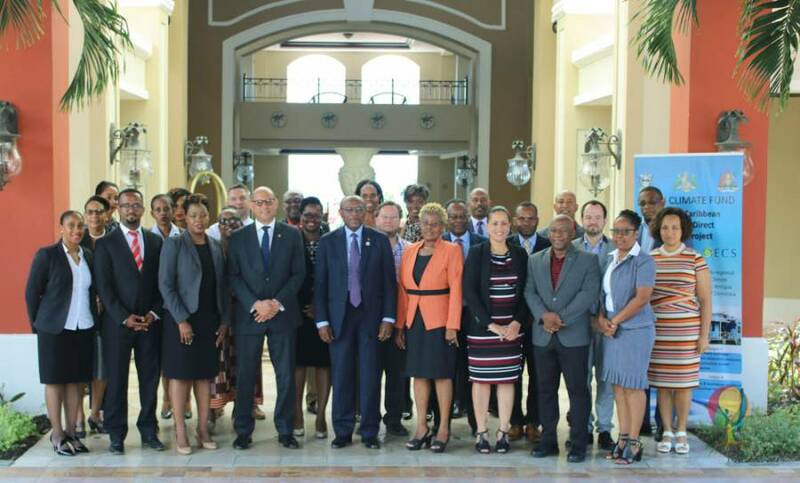 This project which was approved by the Green Climate Fund in March 2018 will be implemented in Grenada, Antigua and Barbuda and the Commonwealth of Dominica. The project aims to build integrated climate resilience of local persons and businesses, communities and governance systems through responsive grant and loan award mechanisms. It provides a unique opportunity to allow NGOs, CSOs and community organisations to access resources in the ongoing struggle against climate change. This official launch brought together all participating countries to finalise the details of the project including the completion of workplans, budgets and legal agreements as well as institutional agreements for implementation. Minister Stiell spoke to the some of the most important development priorities for Grenada which this and other climate projects will help to address. These include effective management of Grenada’s water availability, food security, resilient infrastructure, transportation, energy, disaster risk reduction and ecosystem resilience sectors to name a few. The EDA project will also benefit from the National Adaptation Planning (NAP) process which identifies various sectors for Climate Action and resource mobilisation. Grenada has already finalised its NAP and shared lessons learnt from this process as part of the project launch. The minister expounded the need for Grenada to prioritise its pipeline of project proposals and focus on mobilisation of reliable, predictable sources of funding in a strategic manner. This project will build the capacity of Direct Access Entities on island to be able to attract and harness these resources and deliver them to local stakeholders to build their resilience.